An improved product is always a decided plus! When manufacturers offer newer versions of a product is a matter of working out whether the improvements are an advantage to you. 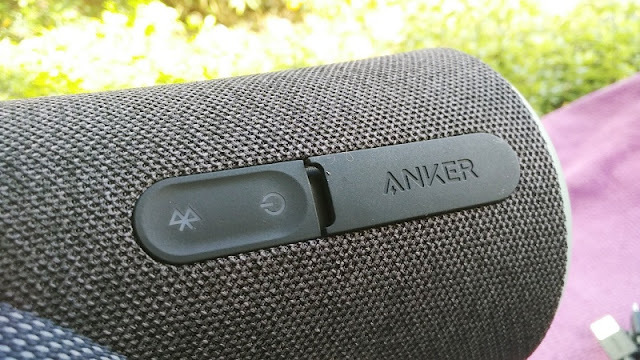 With the Soundcore Flare Plus, Anker has improved a few things, including the three most important components in any bluetooth speaker (volume, sound quality and battery life). With the Soundcore Flare Plus, you get improved maximum volume (output power) going from 16W to 25W of output power thanks to larger 2-inch speaker drivers. 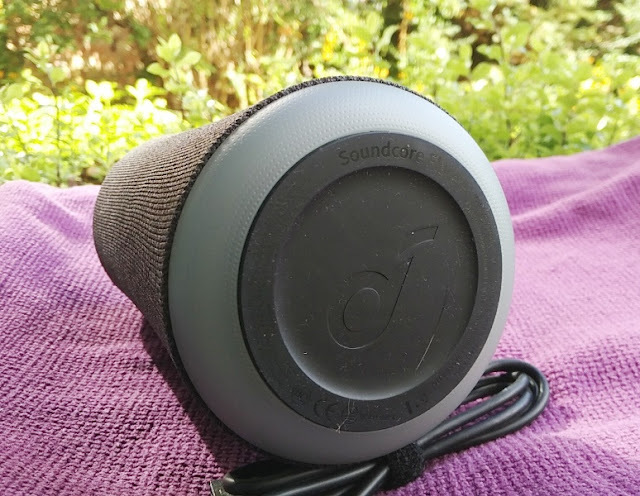 The older Soundcore Flare speaker version only has 1.75-inch speaker drivers. 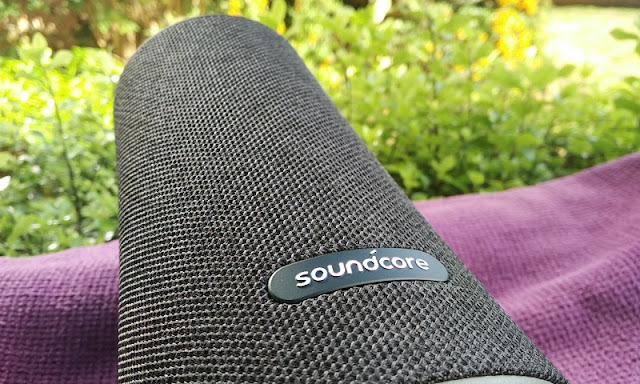 The Soundcore Flare Plus still retains the same speaker driver configuration of two back-to-back full-range speaker drivers and dual passive bass radiators. 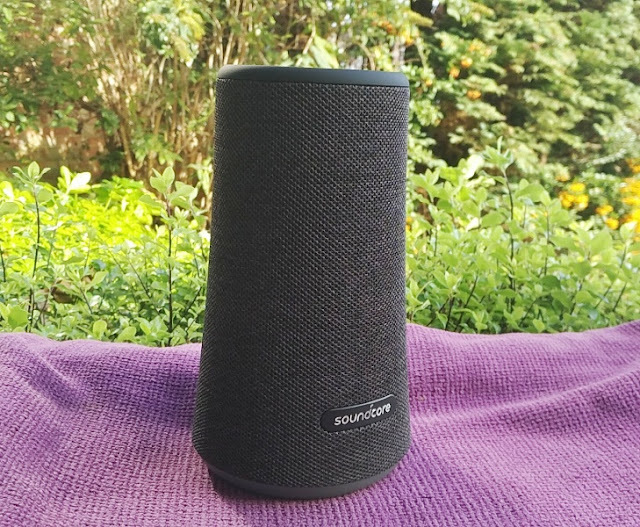 There is an addition of two tweeter drivers to deliver the treble (high) frequencies; hence the Soundcore Flare Plus delivers more defined, detailed sound. 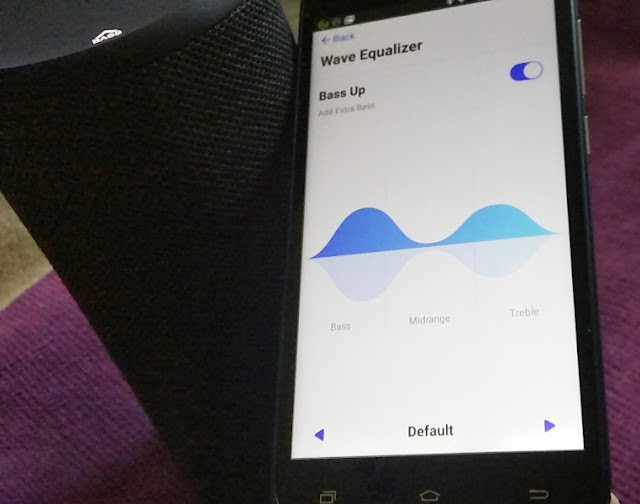 The 360-degree sound coverage of the Flare Plus is really good thanks to deeper bass and bigger sound. 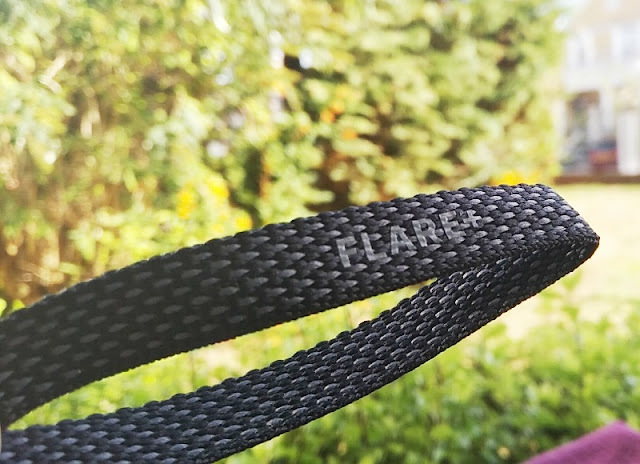 When using the Flare Plus as a TV speaker, you will need to use it via 3.5 mm Aux cable as the Flare Plus doesn't integrate low latency technology (i.e. 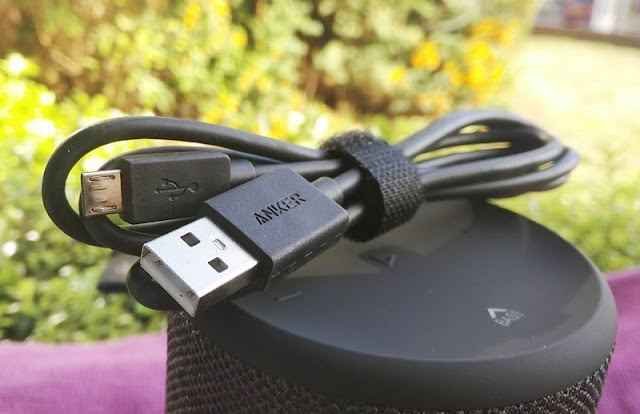 aptX-LL) which minimizes sound being out of sync with the video. 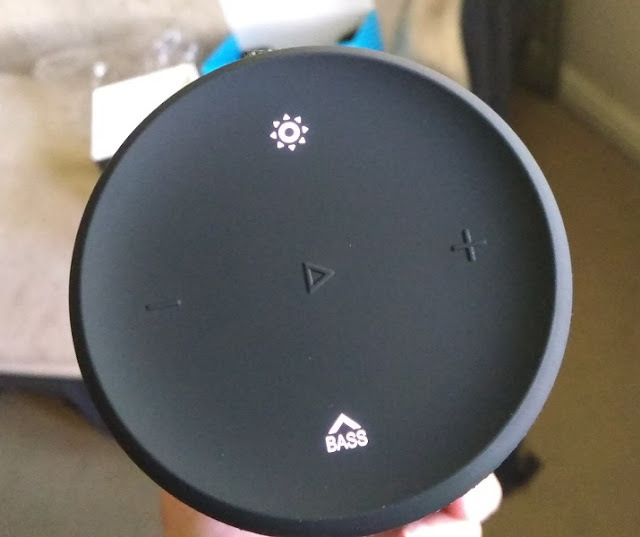 Being upgraded with tweeter drivers means a larger speaker driver housing. 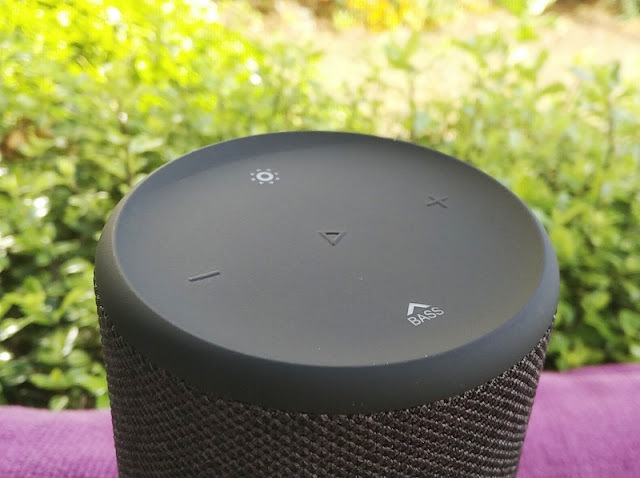 For this reason, the Soundcore Flare Plus sports a larger frame measuring 18.2cm tall, 10cm wide and 10cm thick; and heavier frame weighing 853 grams. 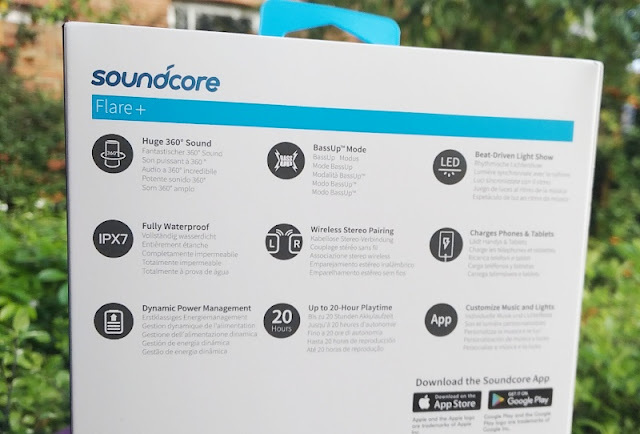 While the weight increase of the Soundcore Flare Plus is 320 grams, the Soundcore Flare Plus remains relatively lightweight for a 25-watt bluetooth device. 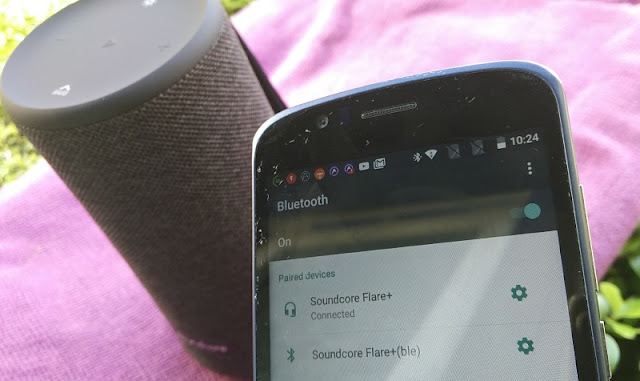 Speaking of bluetooth, the Soundcore Flare Plus bluetooth has also been upgraded from bluetooth 4.2 to bluetooth 5.0 so the Flare Plus has longer battery life (20+ hours) and double the bandwidth speed (48MBps). 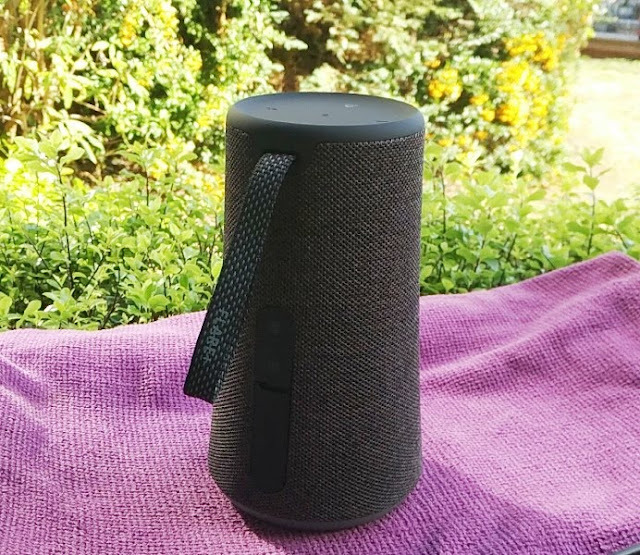 The bluetooth signal coverage remains the same, at 20 meters, as the older Flare and the Motion Q speaker which for its size and power output (16W) remains a superb choice for a discreet, yet powerful bluetooth speaker that you can take with you everywhere. Bluetooth 5.0 is capable of longer wireless range thanks to a stronger signal so the Flare Plus could easily span 40 meters in range. 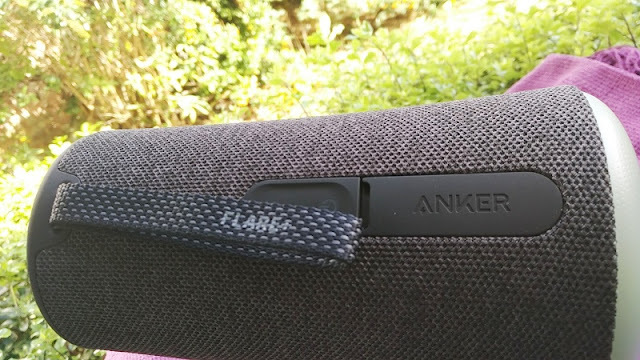 With that said, longer range requires more battery power; hence lower battery life which is most likely the reason Anker has not increased the wireless signal range of the Flare Plus. As far as bluetooth profiles, bluetooth 5.0 supports the same bluetooth profiles as bluetooth 4.2, which include A2DP, AVRCP, HFP profile, and SBC decoding. 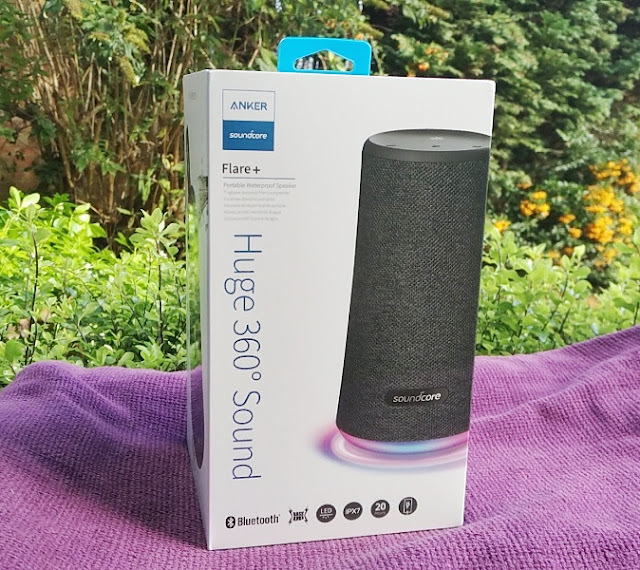 The Anker Soundcore Flare Plus is compatible with Amazon Echo so you can pair the Flare Plus via Bluetooth or wired connection. 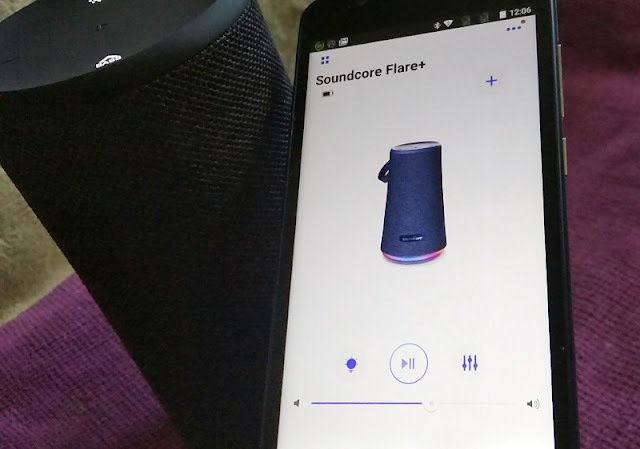 As mentioned earlier, the Soundcore Flare Plus battery life has been improved from 12 hours to 20 hours (at 60% volume), while charging time is only 4 hours, which is just an extra 30 minutes from the 3.5 hours it takes to charge the older Soundcore Flare. 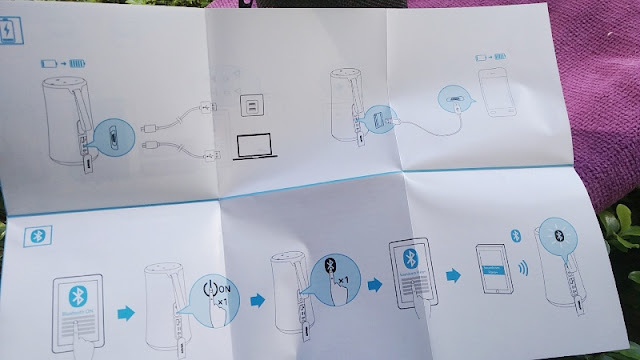 Charging the Flare Plus is done the same way via micro USB charging cable via 5V at 2A input. 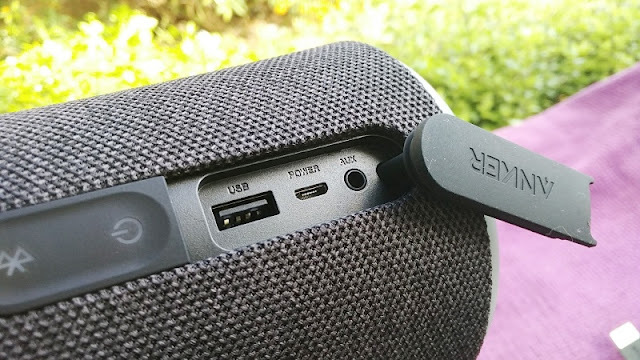 The Flare Plus also has a charging output, allowing you to use the Soundcore Flare Plus as a powerbank charger. 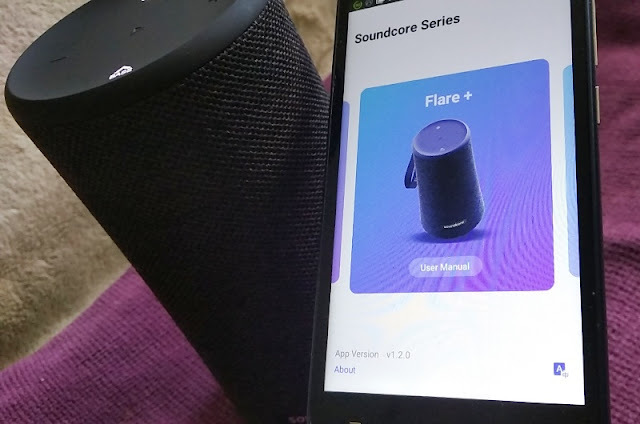 The Soundcore Flare Plus automatically turns off after 30 minutes when there’s no connection but ti does not turn off when being charged. 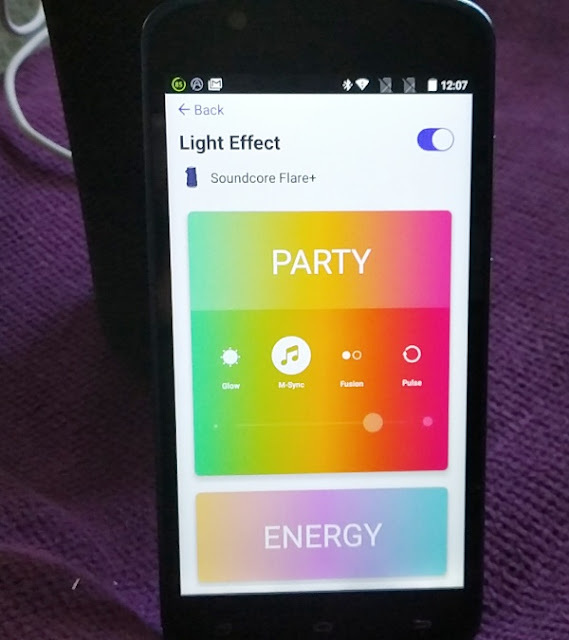 The Soundcore Flare Plus also comes with the same companion app - Soundcore app - which gives you access to a battery level indicator, equalizer settings and the leds so you can turn the lights on or off and customize the lighting pattern so the Flare Plus lights up at the rhythm of the music. 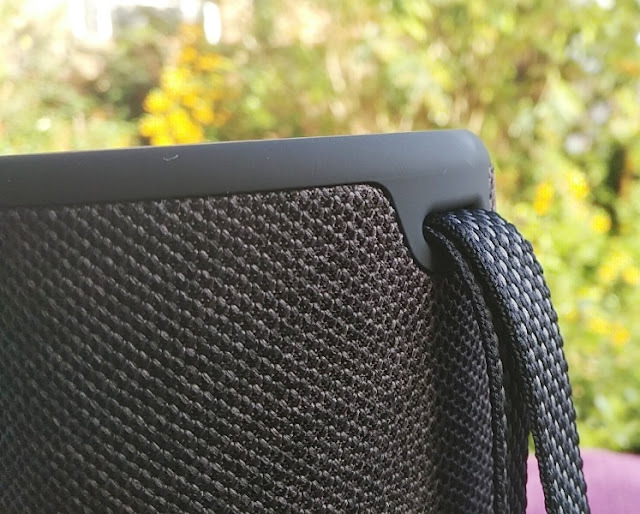 The Soundcore Flare Plus retains the same waterproof IPX7 rating as the Soundcore Flare and Motion Q, meaning you can fully submerge the Flare Plus without water getting inside the speaker housing.